Category Archives for "Solvency Ratio"
This is an in-depth﻿﻿ guide on how to calculate ﻿Working Capital to Debt ratio with detailed analysis, example and interpretation. 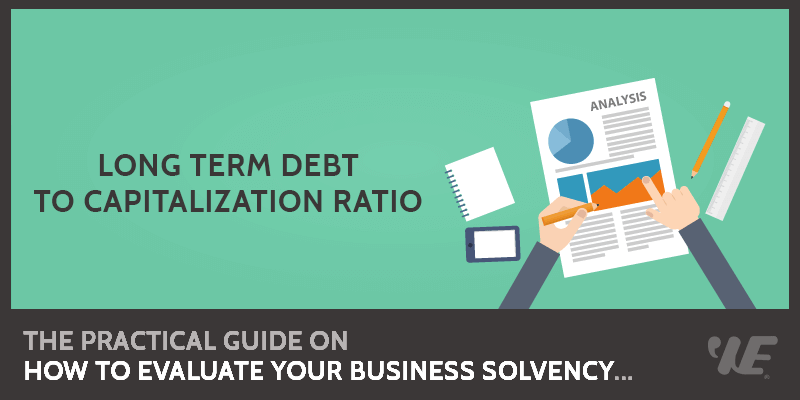 You will learn how to utilize this ratio's formula to evaluate a firm's solvency. The higher the ratio value, the more positive a feature this capability becomes for any business you may wish to invest in, since it’s generally considered a sign of good financial health. By comparing a firm’s working capital with the amount of its total debt, you can determine just how quickly and easily that organization could liquidate its cashable assets to repay its debt obligations, should it ever become necessary. Even though such a drastic step would only be considered under the most extreme circumstances, since it would effectively eliminate all of a company’s working capital (WC), the working capital to total debt ratio is still considered a highly significant ﻿﻿﻿measure of ﻿﻿debt coverage. This is a detailed guide on how to calculate Long Term Debt to Total Assets Ratio with in-depth interpretation, example, and analysis. You will learn how to use its formula to evaluate a firm's ability to pay off its long-term debt. Definition - What is Long Term Debt to Total Assets Ratio? The long term debt to total assets ratio tells us what portion of the company’s assets are financed by its non-current liabilities, such as loans and other non-current obligations. It provides us insights about the current standing of a company’s financial position and its ability to meet its financing needs. It is one of the many ratios that shed light on the capital structure and leverage levels of a company. We will see how this ratio can benefit both the firm’s management in optimizing the capital structure and the investors in making an informed decision about investing in the firm. This is a complete guide on how to calculate Current Cash Debt Coverage ratio with in-depth interpretation, example, and analysis. You will learn how to use its formula to evaluate a company’s solvency. Definition - What is Current Cash Debt Coverage Ratio? If you want to invest in a stock, then it's critical to assess its state of solvency. Establishing if that company can pay off its debt or not is just as vital, you can determine that by calculating the current cash debt coverage ratio, or the current cash flow to debt ratio. That's important no matter if you are an investor or a creditor. Still, as an investor, you are more likely to analyze these numbers, as they interest you most. Simply put, the current cash debt coverage ratio shows you a company's current operating cash flow (OCF) in relation to its current debt obligations. In other words, it indicates the firm’s capability of paying its short-term debt in the upcoming years from its cash flow from operations. This is a detailed guide on how to calculate Fixed Assets to Net Worth Ratio with in-depth interpretation, example, and analysis. You will learn how to use its formula to evaluate a firm's ability to pay off its long-term debt. Definition - What is Fixed Assets to Net Worth Ratio? The fixed assets to net worth ratio, also referred to as the non-current assets to net worth ratio, is a simple calculation that tells us more about the solvency of a company. It indicates the proportion of the company’s fixed assets which are currently frozen or can’t be used for meeting its debt obligations. Using this ratio, you can easily find out the extent to which the firm’s assets are illiquid. To understand the importance of this ratio, you need to first understand what fixed assets are. Fixed asset is any asset that is not expected to be converted into cash in under 1 year. Buildings, furniture, machinery, delivery trucks, etc. are some good examples of a company’s fixed assets. Details of fixed assets can be found under the Assets section of the balance sheet. Having a lower ratio is favorable because this shows that the company you’re considering investing in does not rely too heavily on its fixed assets to meet its current debt obligations.